What is a Hopper Basement Window? 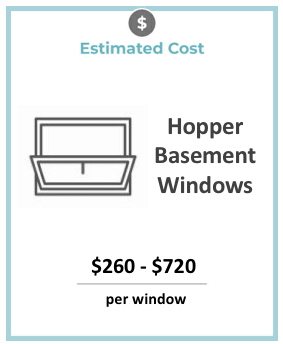 The average cost for a replacement hopper window installation is $260 to $720 per window + labor costs which can average around $38 per hour depending on your local window installers average price. See local window prices below. A hopper window is a small window that opens downward and inward. It is commonly used as a bathroom or basement window. The upward tilt of the window glass pane blocks open dirt and debris from getting into your home. It usually can be opened with a crank or hinge. Hopper windows, originally known as Transom Hopper windows have been in use since the 19th century and were very popular in Victorian homes. They’re regularly used in homes today to make the most of compact spaces, and are known for offering excellent energy efficiency for windows. Like egress windows, hopper windows are a favorite style used in basements. They are good for areas with minimal wall space because they allow you to make use of the full frame for opening and closing. Most hopper windows are strictly for ventilation purposes and are too small to climb in and out of. They are commonly installed in bathrooms for ventilation as well as in basements. The windows work well in smaller locations. Hopper windows can be used right along your driveway or a path to or from your home even though they open up similarly to casement windows because the windows open inward. Hopper windows, like casement windows and awning windows press against the frame when closed and generally create a more effective seal overall. That means these windows aren’t as hard to seal up for the winter and you can count on them to keep the cold out of your home, especially when coupled with a high quality glass. 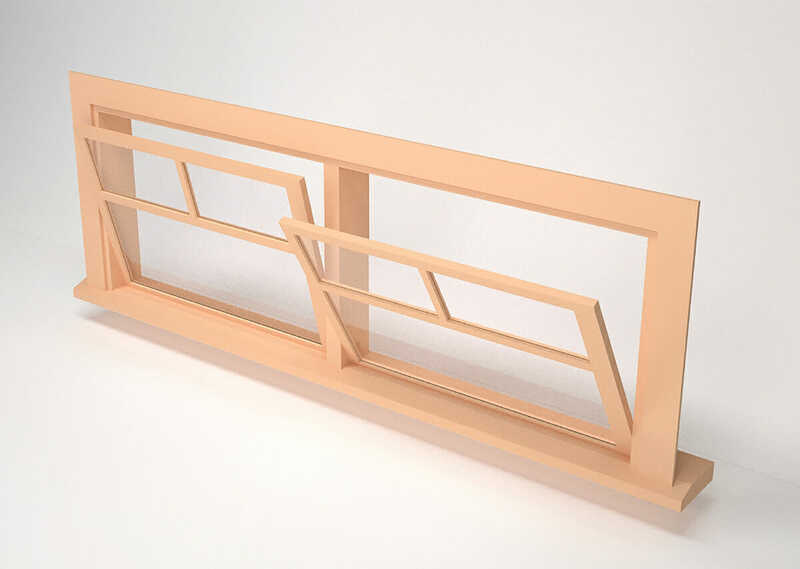 Though hopper windows aren’t very difficult to get open, they simply aren’t very big in most instances. That means that they aren’t a security risk like some taller windows. For sections of your home that you don’t monitor very often, like the garage or basement, it’s a good idea to rely on hopper windows or other small windows that people can’t crawl into. They are small enough to keep people out, and large enough to serve as ventilation for your home. Hopper windows are excellent at reducing humidity in areas of your home like basements and bathrooms. Even though the windows are small in size, they work very well for ventilation. Simply opening a hopper window before taking a shower is enough to let most of the moisture outside and to keep the bathroom from steaming up. Adding a few hopper windows to your basement and opening them every few days can get rid of moldy and musty smells and keep objects in the basement from becoming too damp. Hopper windows aren’t difficult to install because there aren’t many moving parts, but it’s still important to have an experienced professional do the work. It’s important that the measurement of windows is done correctly, sealed properly, and that they are put in a location where they will be able to open fully. Whether you’re looking for a way to air out your basement, keep moisture from accumulating during your showers, or you just want a compact window that you can make the most of, hopper windows are a good, affordable option.